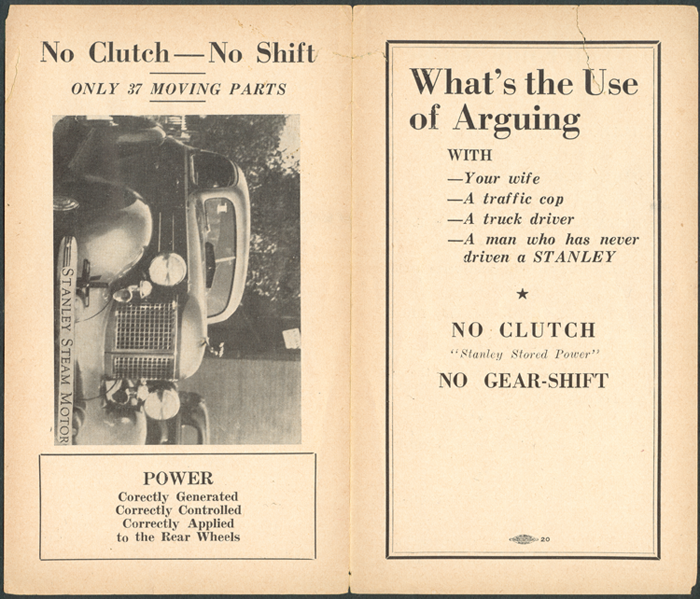 This car was likely designed by Harry W. McGee of Milwaukee, WI. 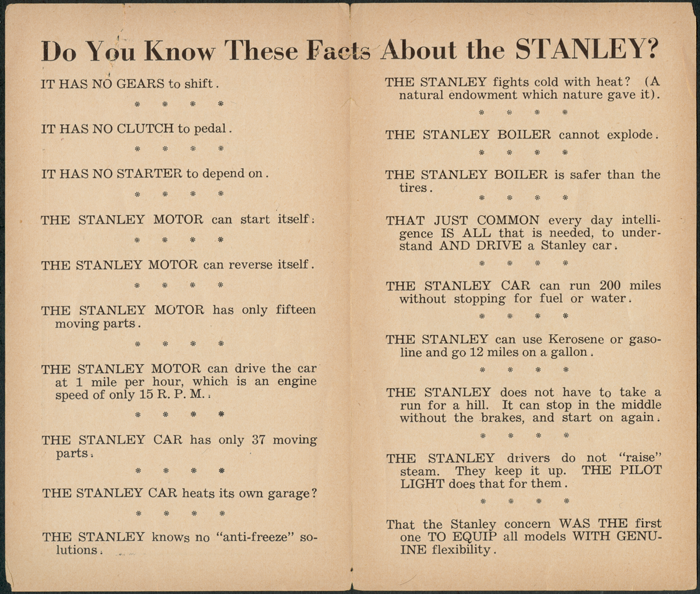 This brochure shows the Stanley Steam Motors Corporation's steamer embodied in a 1930s internal combustion car. Foster, Kit, The Stanley Steamer: America's Legendary Steam Car, Stanley Museum, Kingfield, ME, 2005), pp. 372 - 375. Purchase a copy of this book at the Stanley Museum.